A little more than 16 years ago, Kobe Bryant left his first big mark on the NBA when he captured the 1997 Slam Dunk Contest in the adidas EQT Elevation. Part of the famed 'Feet You Wear' range, the durable EQT Elevation came equipped with a synthetic and mesh build, Microlite striping, a molded EVA midsole and adiPrene in the forefoot. Though it didn't carry his name, the shoe was strongly linked to Kobe and marketed behind him during his rookie season. After a long hiatus, the EQT Elevation makes its long-awaited return to retail this year in several Kobe-inspired colorways. Previewed below is a lineup that includes the original Black/White colorway, and a Hornets-themed "Draft Day" this color has become a staple for the Kobe line. Made to celebrate the team that first drafted Kobe Bryant right out of high school. 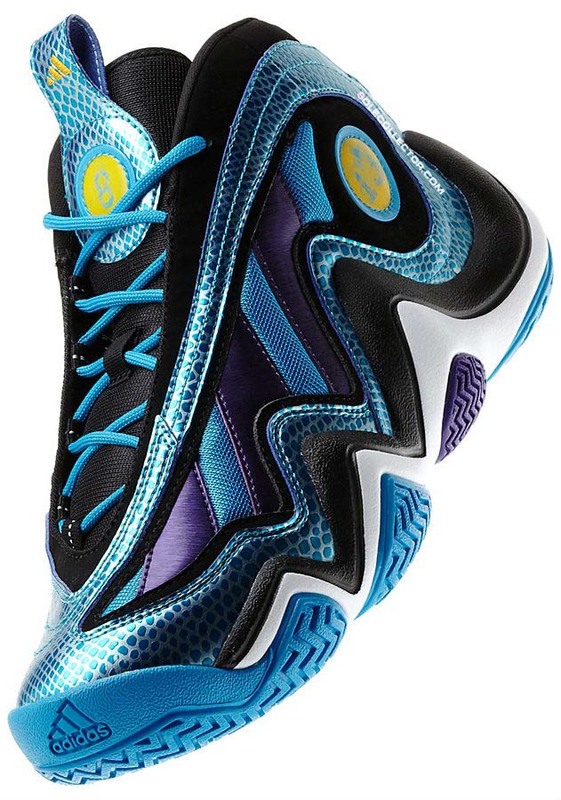 Both Adidas Crazy 97 Available Now "Draft Day" Color Way Is The One To Get.